Harlem Lacrosse-Boston kicked off its inaugural year with a trip to Hingham, MA on Sunday, September 18th. 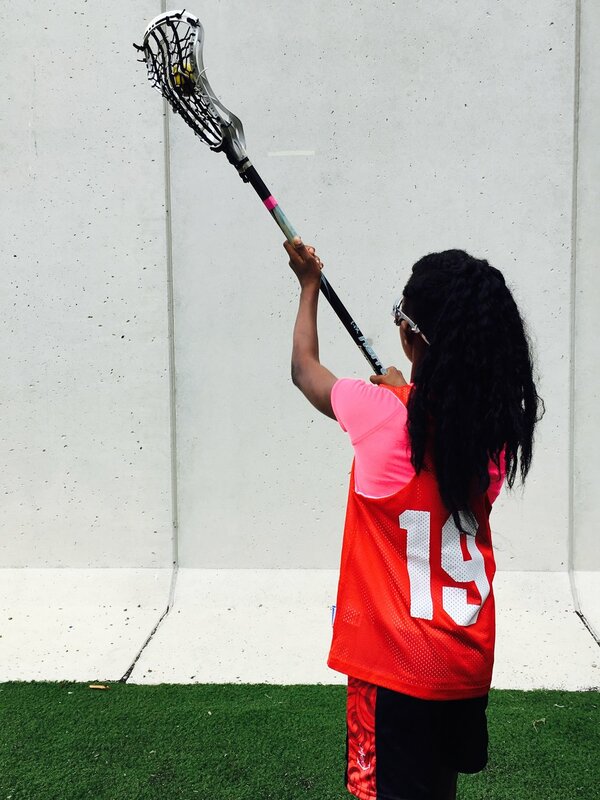 The TechBoston Academy student-athletes were invited to a Hingham Youth Lacrosse Fall Ball session where each HL girl experienced that special moment of picking up a lacrosse stick for the very first time. Hingham coaches rotated the players through stations that included stick work, partner passing, wall ball, star drill shooting, and a spirited round of musical ground balls. After lunch, the players were split into teams and competed in an obstacle course and a high-energy game of handball. Plenty of fun, learning, bonding, and selfies were had throughout what was an unforgettable day. Harlem Lacrosse-Boston would like to give a huge thank you to Boston Advisory Board Member Brian Hlidek, Jen and Gregg Manning for setting up such a well-developed and well-run day, the Hingham coaches and high school volunteers who helped run the session, including Board Member Bill Daye, and the Hingham community members who donated goods and clothing to the gear drive. We could not have asked for a better partner to visit on our first trip in program history. We cannot wait to come back on October 30th!